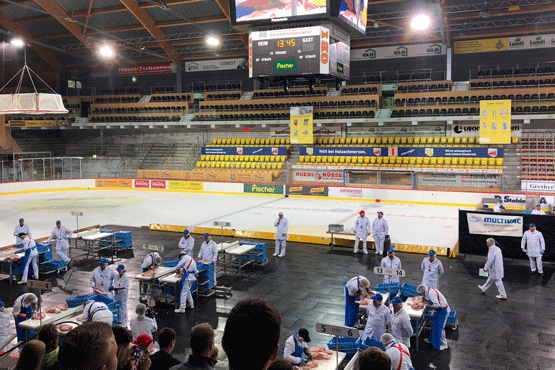 16th Swiss championship of deboning | Sulbana AG – Käserei-, Hygiene- und Verpackungstechnik. 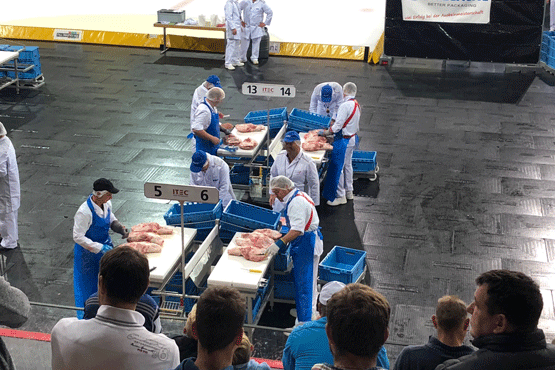 For the second time in a row, the Swiss championship of deboning was held in the „Ilifshalle in Langnau i.E.. About 200 competitors competed in the tournament from last Saturday, 25.08.2018. Their task was to debone the pork shoulder. Cleanly released bones, without any meat residues on the bones, the meat without any cuts and cartilage and the whole thing within a very short time – this is how a deboned pork shoulder must look like, if you want to be the Swiss champion of deboning. Every mistake was punished with a time surcharge. 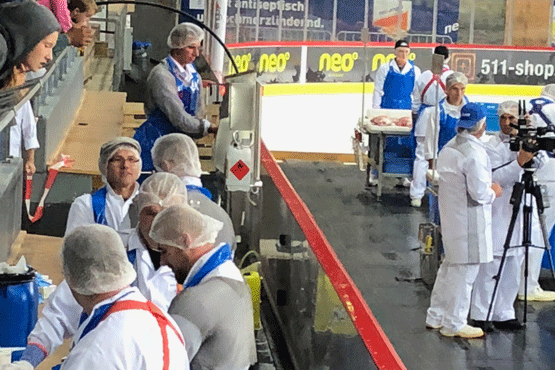 We were very pleased to provide the cutting tables and the hygiene equipment for the event this year and to make a contribution as CO-sponsor for the 10th time in a row. Congratulations again to the winners of all categories.